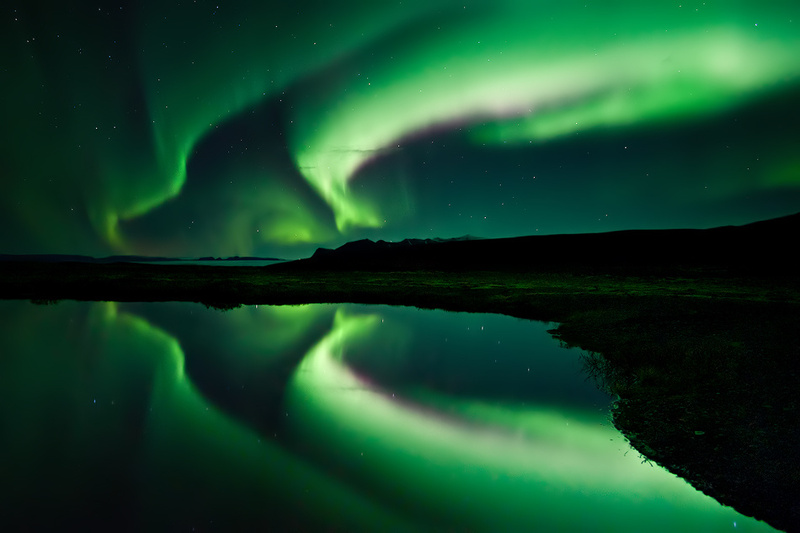 This is one of my favorite Aurora Borealis pictures. I love how the photographer captured the colors and shapes in the very calm water. And I love the subtle green glow on the land below the ridge line. Nice!